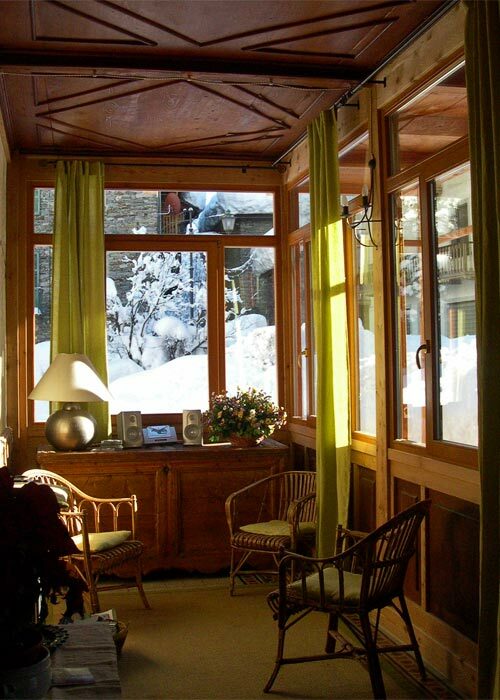 Looking for an eco-friendly retreat in the mountains of Piedmont? 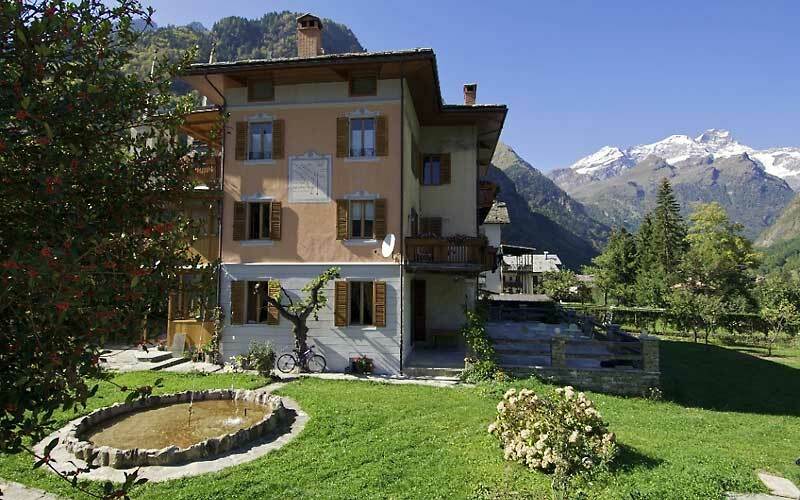 At the foot of Monte Rosa, B&B Tre Alberi Liberi is an intimate mountain retreat in the pretty little town of Riva Valdobbia and just 3kms away from Alagna Valsesia, one of Piedmont's most popular tourist destinations. 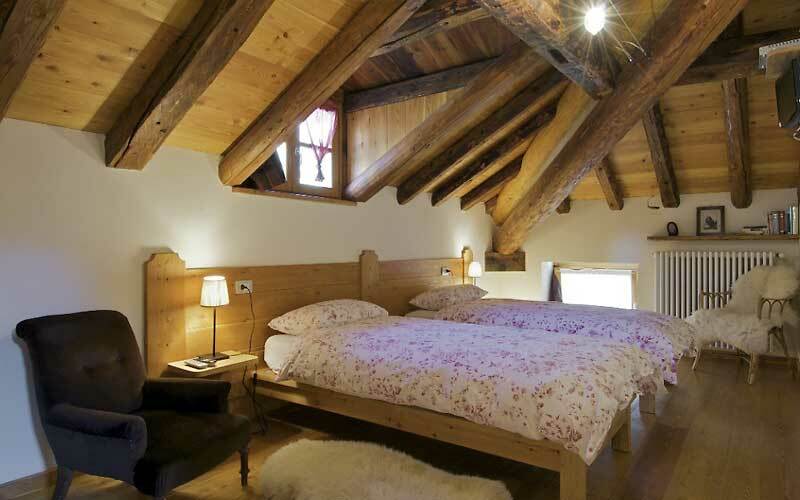 Occupying one of the area's traditional Alpine chalets, carefully restored according to the latest criteria in bio-architecture. 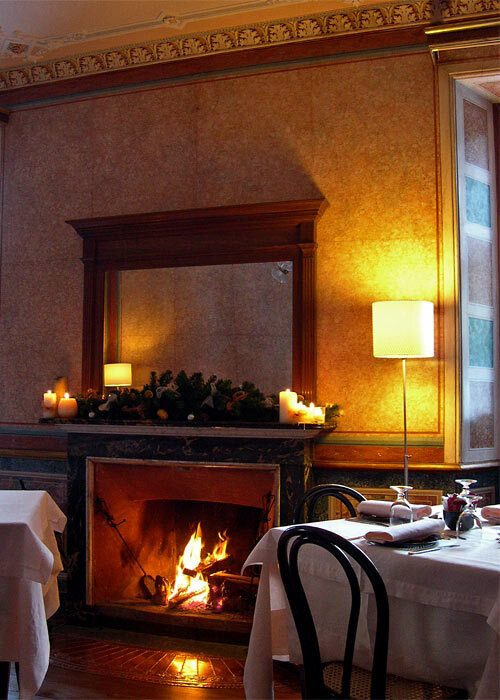 With its magnificent open fireplace and marble-effect ceiling, typical of Valsesia, Tre Alberi Liberi's 19th century living room has all the features of an elegant mountain residence. 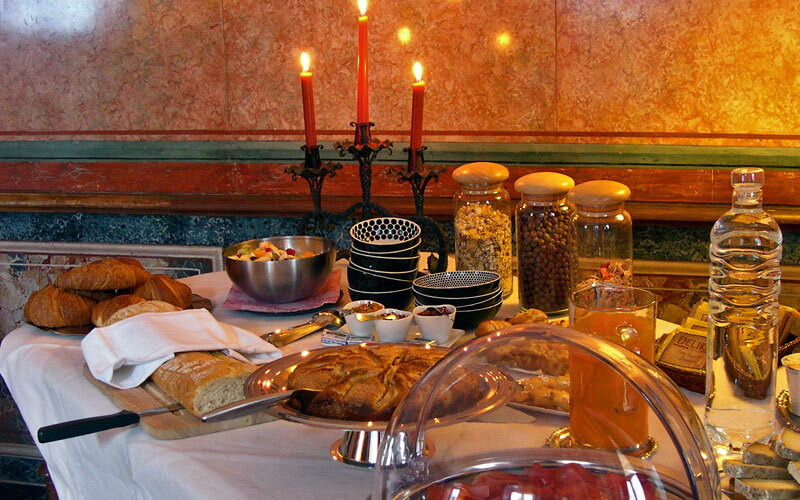 This is where a generous breakfast is served each morning and where, during the day, guests are welcome to relax and enjoy a good book. The living room opens out on to a terrace overlooking on to the garden and solarium, from where a charming view of Monte Rosa can be seen. 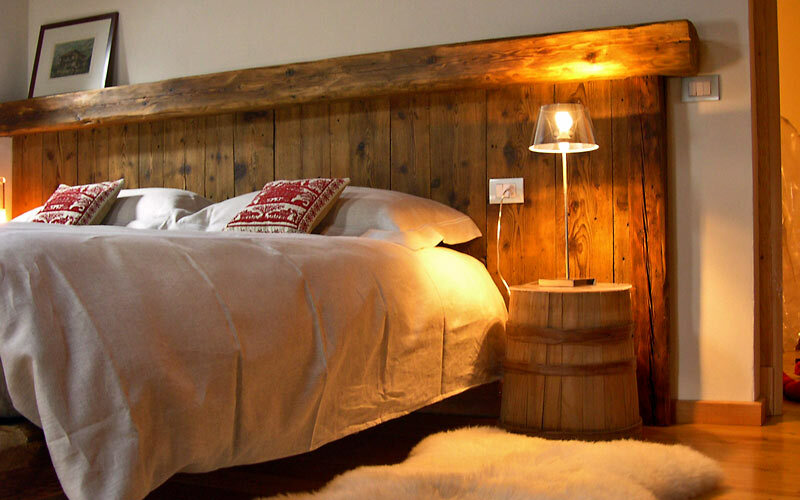 Bed & Breakfast Tre Alberi Liberi offers guest accommodation in four individually appointed bedrooms and one apartment, all of which feature a pleasing combination of antique and contemporary furnishings. The bathrooms of three of the bedrooms are equipped with hydromassage bathtub or shower. 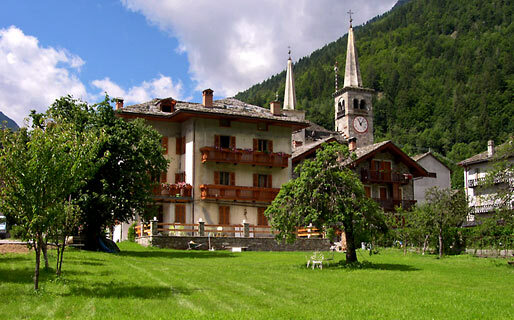 In the mild summer months, guests staying at Tre Alberi Liberi relish the peace and quiet of the this part of Piedmont, exploring the lush valleys and flower strewn mountainside of Valsesia. In the winter, the town of Riva Valdobbia is populated by winter sports fans, who come to ski on the slopes of the Alagna Valsesia ski circuit. 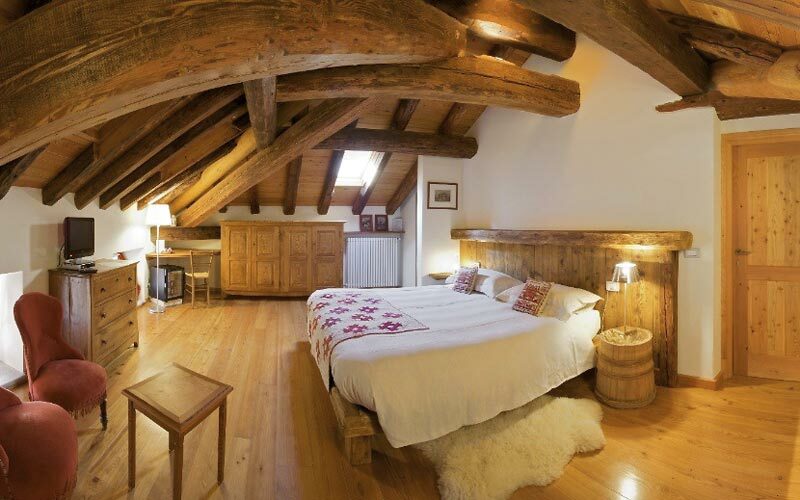 The Tre Alberi Liberi guest house is situated in the pretty village of Riva Valdobbia, just 3 kilometers from Alagna, one of Piedmont's most famous tourist destinations, and the slopes of the Monte Rosa massif. 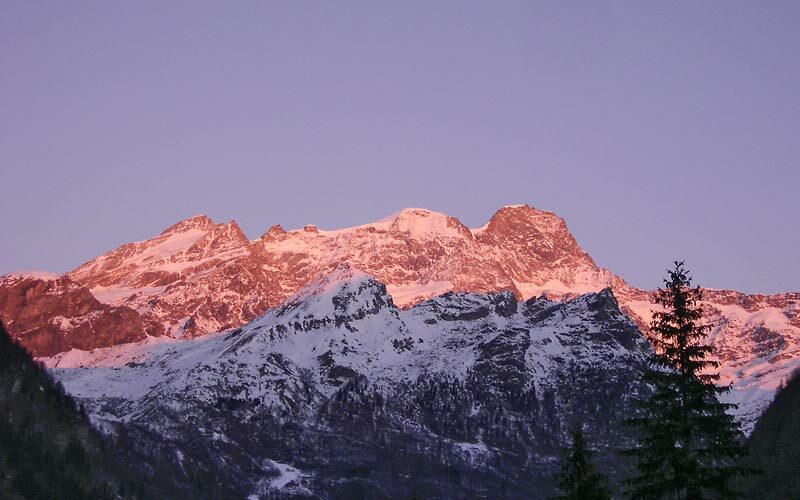 Monte Rosa, the Valsesia Natural Park, and the mines of Alta Valsesia are just some of the fascinating sites surrounding Riva Valdobbia and Alagna, town which played an important role in the history of Italian mountaineering. According to the season, the valley provides the perfect location for trekkers, excursionists, and winter sports enthusiasts, but also for those in search of a relaxing vacation in close contact with nature. Italy's Lake Orta and Lake Maggiore are both just an hour's drive from Alagna.